Previous image, 34 total items. Next image, 34 total items. If you are a snow bunny or love the exhilaration of taking the slopes with absolute abandon, Canada has what you are looking for at the Lake Louise Ski Resort. This premier destination is the place to be when you want that top winter getaway. From ski vacations to ski school and ski tours, Lake Louise has it all. Discover great deals for Lake Louise ski packages and start making your plans now! Winter is just around the corner and the excitement begins now! Granted the title of Canada's best ski resort in 2013 and 2014, get ready to join the ranks of Lake Louise skiing enthusiasts. You can grab your snowboard, pack up your skis, or count on ski rentals as you explore all that this impressive ski resort has to offer. 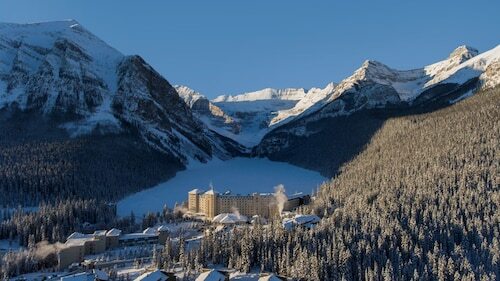 As one of the largest resorts to grace North America, the Lake Louise Ski Resort is perched in the ideal location. You'll find yourself surrounded by the monumental peaks of the Rockies in Banff National Park in Alberta. Get great discount tickets for the season and buy a pass for lift tickets at affordable prices. Whether you use rentals or your own equipment, you'll be able to take advantage of ski vacation packages in ideal weather with one of the most beautiful views in the area. Prepare for 4,200 acres of Lake Louise ski heaven. From November until May, you can enjoy terrain that can accommodate any level of ski abilities. The novice and expert alike love to take to the slopes in a location of pristine beauty that is absolutely breathtaking. With 145 named runs, you'll find yourself having a hard time packing in every adventure. Don't let this ski season pass you by without catching a snow drift at Lake Louise! Choose from more than 100 runs at this ski resort located 15 minutes from Banff. Ride the gondola from Banff to the top of Sulphur Mountain to enjoy snowy mountain vistas. This glacial lake draws visitors for its turquoise waters and surrounding mountain scenery. Supreme ski vacation packages in Canada are yours when you head to Mount Norquay. With only five minutes between you and Banff, you are in the heart of snow country. The “Lake of the Spirits” offers fishing, boating and hiking facilities not far from Banff village. Rejuvenate your body in the geothermal waters of these historic hot springs while admiring the exquisite views of Banff National Park. Mountain scenery, wildlife-spotting opportunities, hiking trails and canoeing adventures await you at this series of lakes in the foothills of the Canadian Rockies. Situated in the Village of Lake Louise, this inn is within 4 km (less than 3 mi) from Lake Louise, skiing, hiking, and Samson Mall. 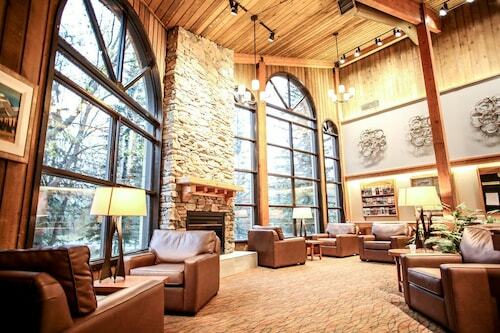 Conveniently near skiing facilities, this Lake Louise hotel is located in the mountains within 3 mi (5 km) of Icefields Parkway, Lake Louise Mountain Resort, and Lake Louise Gondola. Moraine Lake and Plain of Six Glaciers Teahouse are also within 9 mi (15 km). Lake Louise Station is 12 minutes by foot. Surrounded by the peaks of the Canadian Rockies, this mountain resort in Banff National Park on the shores of Lake Louise is a popular destination for hiking, canoeing, and skiing. 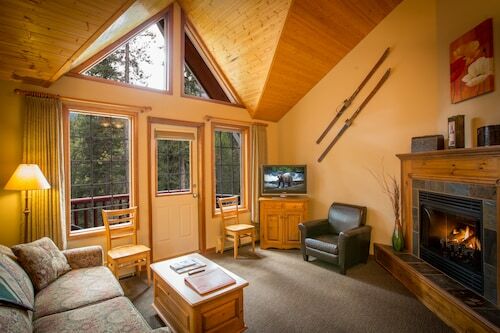 In the heart of the Canadian Rockies, this scenic Alberta lodge is a 7-minute walk from Lake Louise, 12 miles from Yoho National Park, and 65 km (40 mi.) from Mount Norquay Ski Resort. 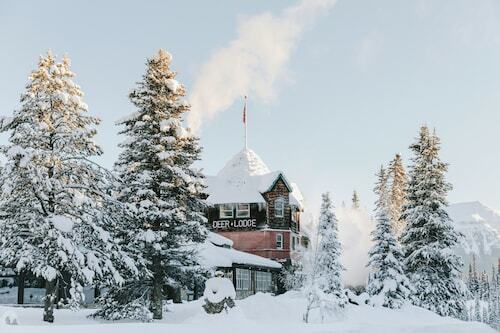 Situated in a national park, this lodge is 0.1 mi (0.1 km) from Icefields Parkway and within 6 mi (10 km) of Lake Louise Mountain Resort and Lake Louise Gondola. Moraine Lake and Plain of Six Glaciers Teahouse are also within 9 mi (15 km). 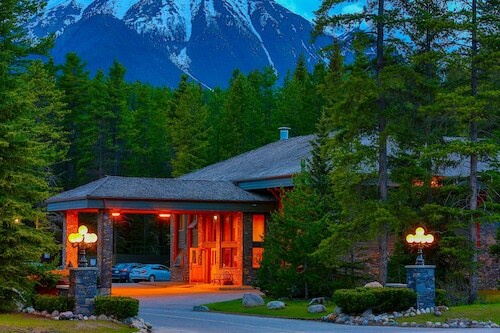 Situated on a river, this hotel is 12.8 mi (20.7 km) from Johnston Canyon and within 32 mi (52 km) of Lake Louise Mountain Resort and Icefields Parkway. Lake Louise Gondola and Plain of Six Glaciers Teahouse are also within 32 mi (52 km). 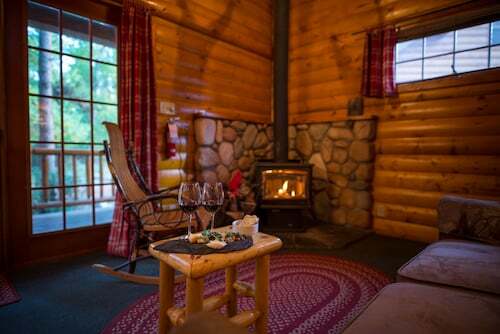 Located in East Kootenay G, this lodge is 0.1 mi (0.1 km) from Moraine Lake. 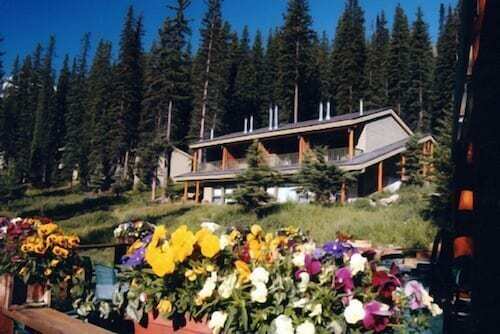 Conveniently near skiing facilities, this Columbia-Shuswap A lodge is located in the mountains, within 3 mi (5 km) of Lower Spiral Tunnel Viewpoint and Upper Spiral Tunnel Viewpoint, and close to winter sports such as cross-country skiing and skiing lessons.